Payment of $25/month with no interest for 60 months requires a down payment equal to sales tax and delivery (if applicable). For $0 down payment, a total of $1,568.79 will be financed with equal payments of $27/month with no interest for 60 months. Estimated based on initial lease payment of $42.86 plus 60 weekly lease payments, not including sales tax or any optional delivery, warranty, or liability damage waiver (LDW) fees. Unless you exercise your early purchase option, your total cost of ownership will be $2,571.60, not including tax or any optional delivery, warranty, or LDW fees. 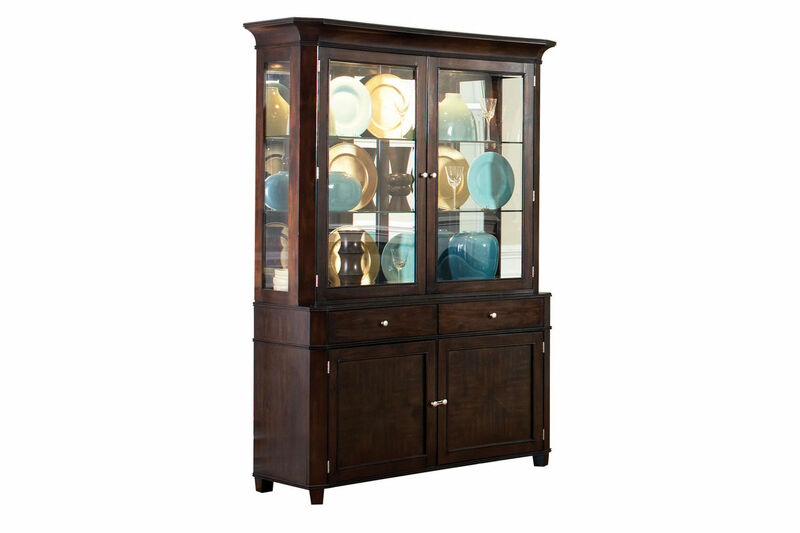 The Marseille China Cabinet is a contemporary piece, perfect for those who appreciate style and durability. 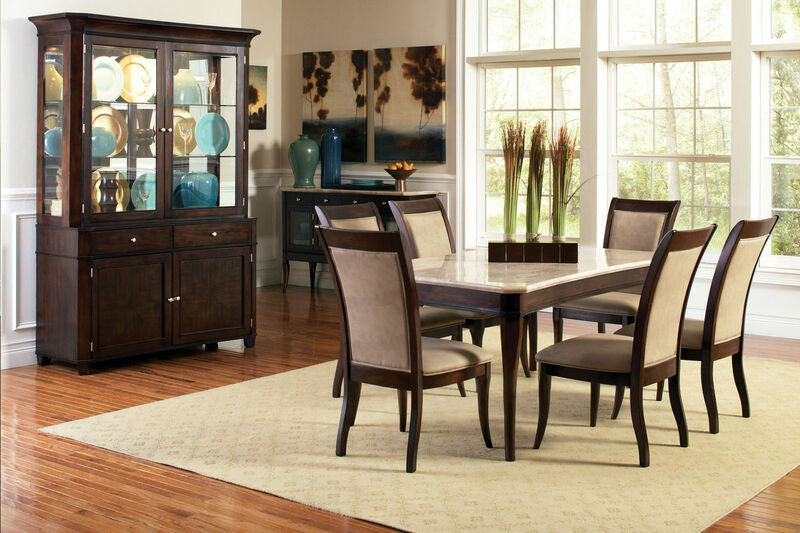 The china cabinet is crafted with a dark cherry wood and light stone and features a mirrored back and glass doors. Buffet: 55" x 20" x 34"
China Deck: 60" x 19" x 50"